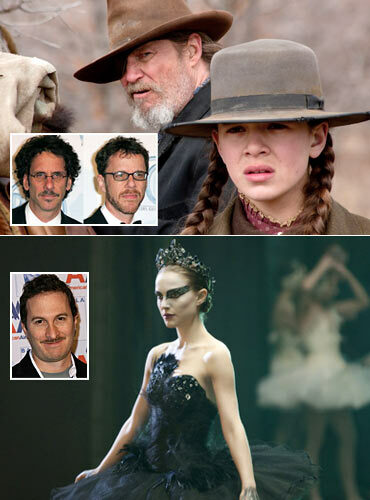 Rediff.com » Movies » Will David Fincher win Oscar for Best Director? It's that time of the year when we folk who write on film throw our hats into the soothsaying ring and decide to declare who will win -- and who should win -- the upcoming Oscar race. This year, I decided to mix things up a little. Instead of a look at every nominee in the race, I'm focussing only on the men, women and films I'm putting my money on. The nominees that matter, I daresay, even though I may well end up with egg on my face. 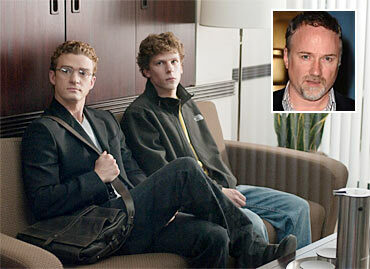 Here, then, is my unquestioned pick for Best Director: David Fincher for The Social Network. Unlike any of the other hats in the ring, wonderfully embellished as some of them may be, The Social Network is a bonafide masterpiece -- it is the only one of these films that truly matter, and that will be remembered for decades to come. Fincher's work in it is unassumingly spectacular. He frames his characters tightly, giving them little room to free their elbows while packing layer upon layer of constantly-whippersnappery dialogue onto his young protagonists. That opening scene in the bar where Jesse Eisenberg's Mark Zuckerberg breaks up with Rooney Mara's Erica Albright took 99 takes. This is a man who knows what he wants. It is quite a feat to take a film involving website coding and boardroom battles refereed in legalese, and turn it into an edge-of-the-seat drama. David Fincher deserves to take a bow, and to do with that golden trophy in his hand. Because, as Academy watchers around the world say, it is time. The 48-year-old director is one of the most critically acclaimed directors in America, and a man who earned himself a cult audience right off the bat. His first project, Alien 3, involved stepping into boots vacated by Ridley Scott and James Cameron, and the man did good. Then came Se7en, and The Game, both highly sophisticated -- and highly successful -- pieces of filmmaking machinery. Films like Panic Room and Zodiac have since followed. 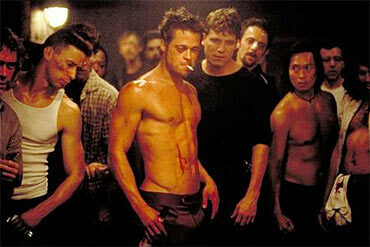 The Academy passed on Fincher's groundbreaking Fight Club in 1999, an oversight if ever there was one. They have been trying to make amends since, and Fincher's last film, The Curious Case Of Benjamin Button, was embraced by the Academy -- but lost out to Danny Boyle and his Slumdog Millionaire. This year, with the most intelligent mainstream film in America, Fincher should not lose. 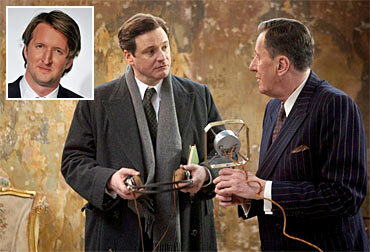 British director Tom Hooper, 38, is recieving major accolades for his work in The King's Speech. The film leads the list of Oscar nominees this year with 12 nominations, and the film's momentum in the press and various Guild awards suggest it might score a sweep come Oscarday. Yet this would be a grave injustice, gravest of which would be Hooper's winning the award over Fincher. Hooper's finely crafted film is the safest project from the five nominated directors, a period historical following the narrative predictability and high drama of a typical sports film. It's a very finely made film, but his work as a director pales in comparison to the other nominees. And who are these other nominees we speak of? Well, there are the ever-incredible Joel and Ethan Coen, and while I am admittedly as BartonFinky a fanboy as they come, their True Grit is a wonderfully entertaining picture and nothing more. Darren Aronofsky's esoteric and disturbing Black Swan must have doubtless been a directorial nightmare, but, grand ambition notwithstanding, didn't wholly work. Outside Natalie's performance, this is a beautiful film with severe, hard-to-ignore flaws. 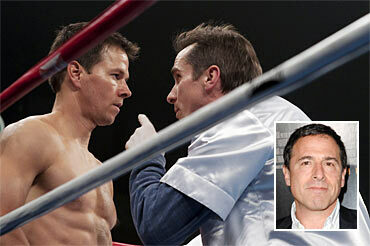 David O Russell's The Fighter is an intricately balanced boxing biopic, made with sensitivity, intelligence and great compassion for the subject. The performances are all stunning, yet this is a film that unfolds just the way we expect it to. Fincher, on the other hand, knocks us out. Without even the hint of a boxing glove. Who do you think will bag the Best Director Oscar this year? Tell us! Will Colin Firth win Best Actor? Vote! Win an Oscar, lose a marriage!